The days rolled along. Lynn and I visited scenic places in the morning, worked in the afternoon, and watched movies or TV at night. We went to Padstow, which has become a tourist draw due to the presence of celebrity chef Rick Stein. He’s got at least three restaurants in this small town, ranging from a fish and chips shop to a white linen place. Lynn and I had the fish and chips and agreed it wasn’t any better or different from fish and chips anywhere else. But Padstein, as it has been nicknamed, was a lovely town. 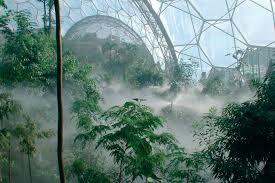 We visited The Eden Project, an educational and scientific environmental enterprise. The exhibits are housed in enormous geodesic domes. 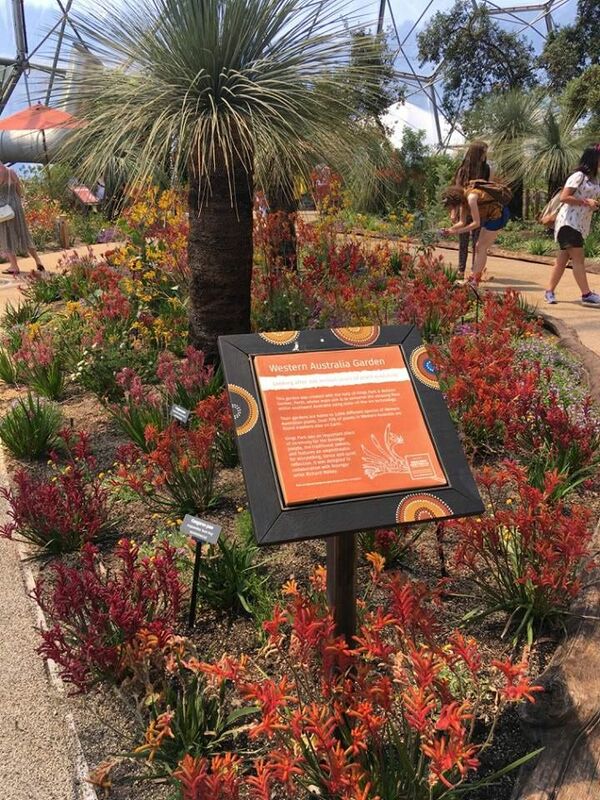 Each dome features a different region of the world, from South American rain forest to Australian outback. They had a great gift shop where, believe it or not, I bought some environmentally-friendly underwear so I would have at least one pair that wasn’t blue. Once I was past the shock of having to shout over disco karaoke to make myself heard in a work Skype meeting, the remote work wasn’t so bad. I would do things that required concentration, like editing, at the cottage. With no internet, I was not tempted to check my email or distracted by pop ups. Then I would walk over to the lodge and send emails or have Skype calls. We ate breakfast and dinner at the lodge and became friendly with the cook and waitress. We learned the resort had been struggling financially and had been sold to a new owner. All the employees were holding their breath to find out if they would have jobs in a month, or scrambling to find new jobs. The waitress told us that her passion was theater; she had just handed in her notice and would be gone soon to run her own theater nearby. The cook reminded me of Vince, my son. He had creative cooking aspirations in a place where people only wanted fish and chips. Every morning he would offer us something new—the crayfish omelets were memorable. We would enthusiastically accept and show appreciation for whatever he made, which seemed to make him happy. He told us he was waiting to see which way the wind blew with the new owner. He had a new menu up his sleeve with imaginative dishes and he was prepared to roll it out here or take it somewhere else. Both he and the waitress had other jobs on the side. It was a typical rural employment situation, where people were hustling to cobble together a living and also striving to do creative things to stave off boredom and keep from going crazy. 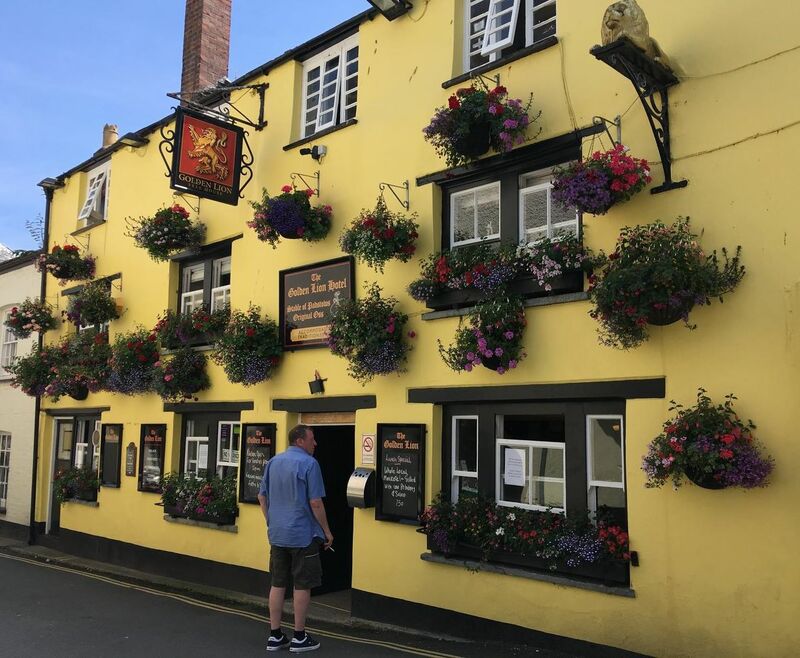 At the end of a week, we pulled out of the killer driveway for the last time and headed to Charmouth, which is near Lyme Regis, another town you’ve probably never heard of. Both are in Dorset, the next county east of Cornwall. Specifically, they are in west Dorset. This became apparent when we moved on to Devon a few days later, because the local maps we’d acquired only included the western half of the county. So we drove to the edge of the map and then had to switch to our atlas. Anyway, we stayed at the Fern Hill Hotel for a few nights and this was our favorite place. It was smallish (think Fawlty Towers) and family-run. There was a sign on the desk stating that Robert Plant, front man for Led Zeppelin and rock god, had stayed there. If it was good enough for him, it was good enough for me. I couldn’t resist sending Vince a message that I might be sleeping in the same bed as Robert Plant. I know, inappropriate, but he liked it. The lovely woman at the front desk gave us minutely detailed instructions and maps for walking into town. As per our usual routine, we found ourselves on a golf course and then a muddy cow pasture before winding up in Charmouth. After we had a wander, Lynn figured out how to take a bus back to the hotel. We celebrated this navigation victory with drinks on the patio. 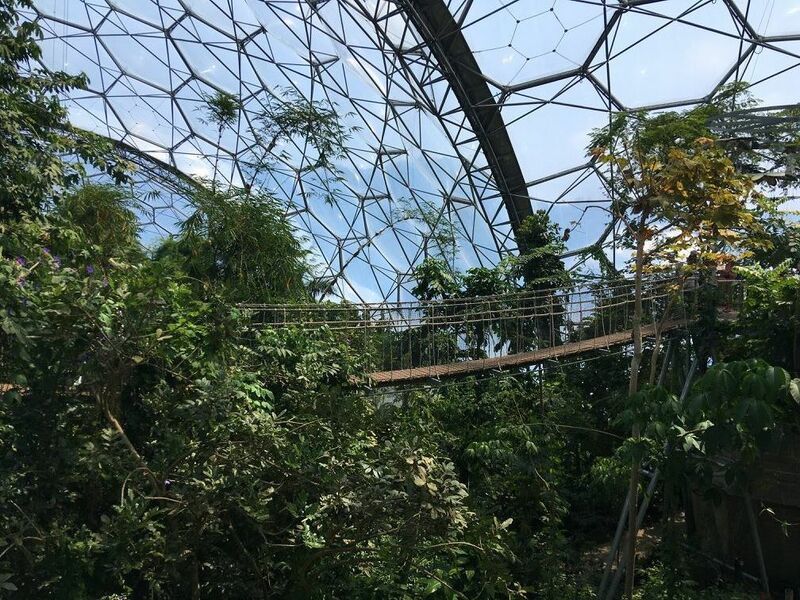 This entry was posted in Adventure, Budget travel, Culture shock, daily life, International Development, Joie de vivre, Living abroad, Travel and tagged Cornwall, Dorset, England, Road Trips, UK on September 20, 2017 by Breaking Free. 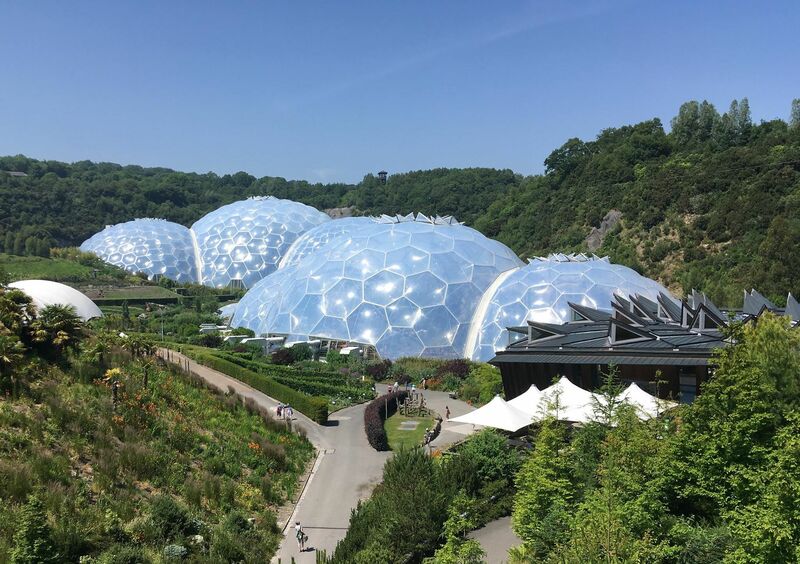 The Eden Project looks amazing – never heard about it before! Now I’ve went and googled it!